An isolated nuclear bunker – called Plethura – deep, deep underground. A scientist tasked with maintaining the subterranean centre in readiness for an impending strike, is all alone, apart from an omnipresent computer, Arthur. 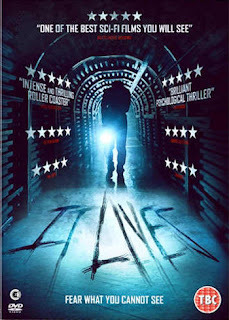 Find out in the critically acclaimed, terrifying new psychological thriller from director Richard Mundy IT LIVES (aka Twenty Twenty-Four), which is set for its UK DVD debut from Second Sight Films on 06 Aug.